There are three main Bronze Age cultures in the area of modern Greece: the Minoan culture on Crete, the Mycenaean culture on the Greek mainland and the Helladic culture in the islands of the Aegean. It is not known whether these represent different political units, and how much the Egyptians distinguished between them. Crete seems to appear in Egyptian written sources as Kftiw, the islands as iww Hrii-ibw nw wAD-wr "the islands in the midst, of the Great Green", and mainland Greece perhaps as Tanaia (controversial). There is good evidence for contacts between Egypt and Greece in the New Kingdom. At Tell el-Dab'a a palace (?) building contained fragments of frescoes executed in a purely Minoan style. The paintings, perhaps executed by Minoan artists, may date to the early or mid 18th Dynasty, depending on interpretation of the archaeological context, a secondary deposit. Minoans appear in several Theban tomb paintings of the time of Hatshepsut (about 1479/1473-1458/57 BC), Thutmose III (about 1479-1425 BC) and Amenhotep II (about 1428-1397 BC). 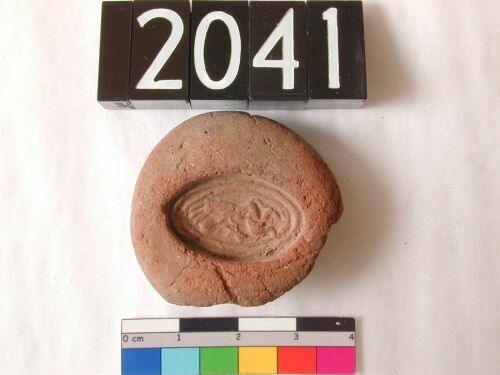 This is evidence for direct contacts between Egypt and the Minoan culture, rather than trade of Aegean trade goods indirectly via Western Asia and Cyprus. The exact dates and the frequency of such contacts are not mentioned in the paintings. In some tombs the original costumes are overpainted by others; this has often been interpreted as a reflection of the major political change in Crete during the 15th century BC, the Mycenaean conquest of Crete. At the Theban West Bank temple of Amenhotep III a statue base within the northern half of the site was found inscribed with a list of towns and countries, labelled as the 'countries of the North': according to one possible interpretation of the names, the places may be read tentatively as Keftiu (Crete), Tanaia (mainland Greece), Amnisos, Phaistos, Kydonia, Mycenae, Bolotian Thebes or Kato Zakros, Methana or Messana, Nauplion, Kythera, Illios (Troy), Knossos, Amnisos (listed again), Lykloi. If correctly interpreted, the list indicates detailed knowledge of the Mycenaean world. The repetition of Amnisos could be interpreted as evidence that this is the itinerary of a trading ship. 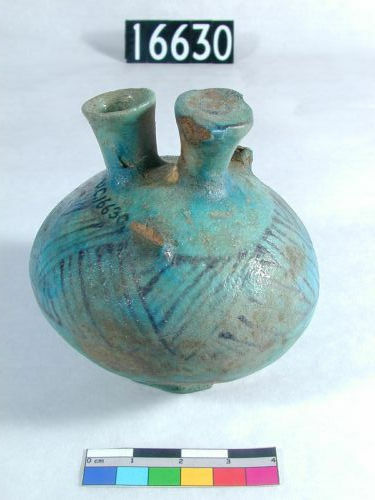 Mycenaean (Helladic) pottery is common on New Kingdom sites in Egypt. They are often the so-called 'stirrup-jars' belonging to Late Helladic III a and Late Helladic III b. Contemporary Egyptian finds in Greece are also fairly common, including storage jars, jugs, glass objects, scarabs and faience figures. Some objects bear the name of a king (most common: Amenhotep III). It has been assumed, but on no specific evidence, that these were presented as royal gifts to foreign courts. The best evidence for East Mediterranean trade in action has come from shipwrecks: the late fourteenth or early thirteenth century BC wreck at Ulu Burun contained a cargo of items ranging from ingots for metal and glass production, to luxury items including a ring with the name of Nefertiti. Finally there is evidence for trade in people. In some Mycenaean wall paintings are shown black-people (as soldiers?) which must have come via Egypt (or Lybia?). There is evidence that Egyptian art was influenced by Mycenaen art. The shape and decoration of Mycenaean vessels were sometimes copied in Egypt. This is a copy of a Mycenaean stirrup vase, with band of black decoration (hatched triangles). Minoan art is well-known for its naturalistic character. More naturalistic scenes appear in New Kingdom (about 1550-1069 BC) art. Above: Dog leaping on fleeing gazelle ('flying gallop'). Below: Girl steering papyrus boat in marshes.